Did you know that there are like 80 billion festivals in California every year? Enough festivals to have one per person, per day, for about a century. 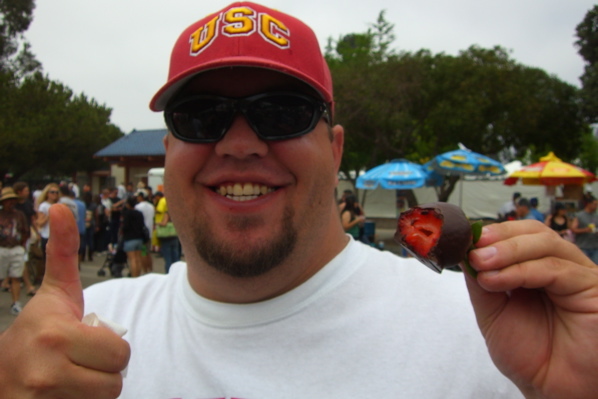 But what makes the California Strawberry Festival so special that EatMeCalifornia would do a whole post on it? Not much, really. Mikey and I just needed to get out. Plus, I was upset that Mikey didn’t take me antiquing on the way home from SF last weekend. As always, when considering an event Mikey and I ask one small but crucial question. Will there be booze? The answer in this case is a resounding YES. They had strawberry beer, (which was quite nice) strawberry margaritas, strawberry wine, strawberry champagne and a whole lot of other stuff. I would tell you about all of it, but I don’t wanna sound like that retard from Forrest Gump. That guy was retarded, right? 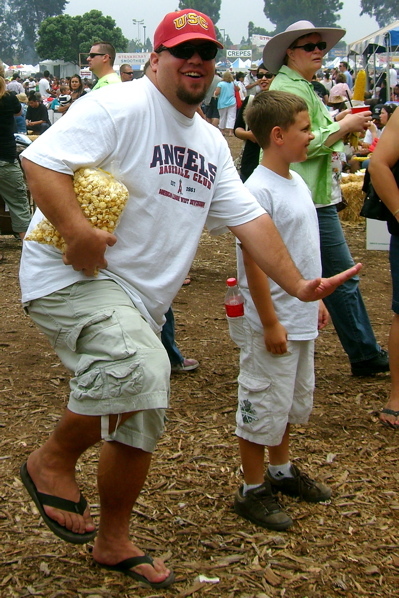 and Mikey got his Kettle Corn. It was all good. How good? 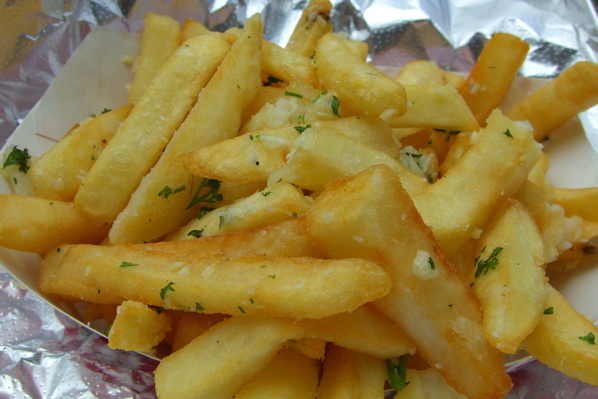 Well, we were at a festival so it wasn’t gourmet or anything, but I thought the quality was up there. 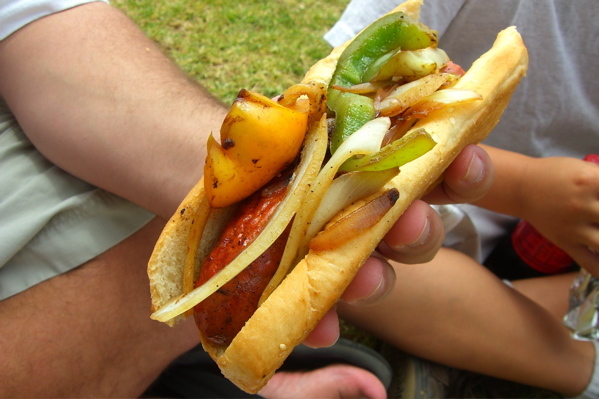 The hot link was packin’ some serious fire and I seriously thought I saw a tear roll down Mikey’s cheek at one point. The garlic fries accomplished their goal by keeping the good ladies cougars of Oxnard at a safe distance, and the chocolate covered strawberries were huge and tasted quite good. We also brought along another food expert, Mikey’s son Trent. His specialty is pizza and I was disappointed to find out that he wasn’t old enough to be our designated driver, but what can ya do? 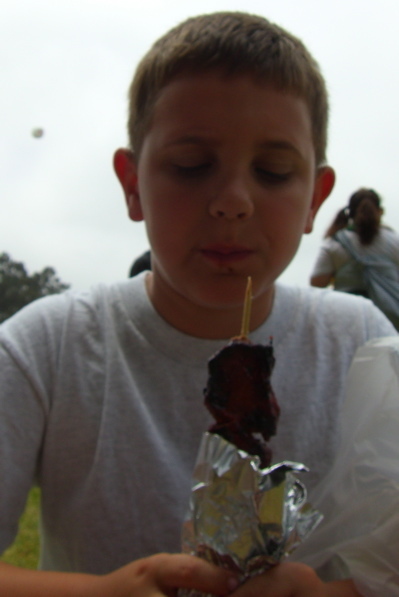 Here is mini-Mike, doin’ work, on some pork on a stick. Chip off the old block if I ever saw one. Actually, I can’t knock Oxnard too hard. This festival was a lot of fun and we all had a great time. I even learned a universal truth while I fighting my way through the sweaty mass of humanity: All people who push strollers are a-holes. Seriously. I almost punted this one little dude to Ventura before I realized that it was his inconsiderate jackass of a parent who was to blame. Sorry again, little man. Where was I? Oh yeah, Oxnard. Great town. 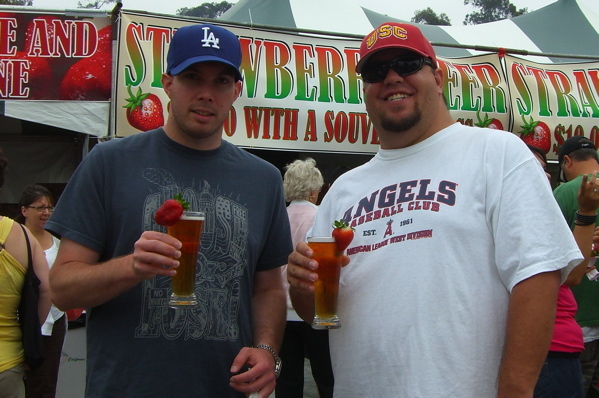 So just to summarize, if you need to go to Oxnard for something, you should probably hold off for about a year until the Strawberry Festival comes around again. You might even be able to score a commemorative 25th aniversary beer glass just like Mikey and I did yesterday. 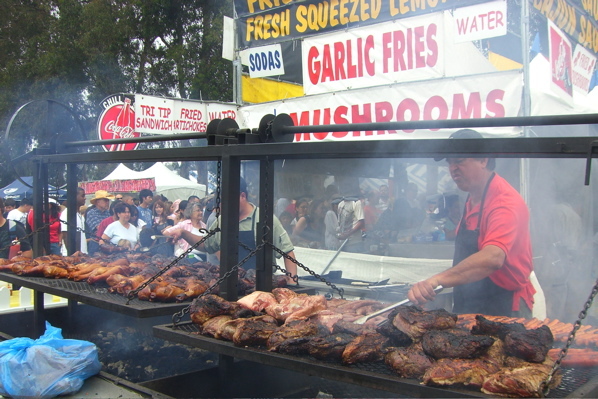 Did I mention that this year’s festival was the 26th annual? Yeah, that analogy pretty much sums up the ‘nard better than anything I could ever write, so I think I’ll quit while I’m ahead. Hope you guys had a great weekend. I know I did. P.S. 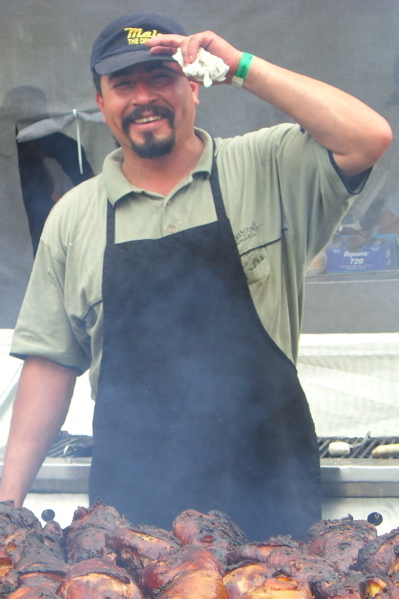 – Next week is the Simi Valley Cajun Festival… I’ll be there in charge of the best mullet contest, so stop in and say hello.